It's been a while since doing one of the slightly offset graphics. I hope you enjoy this one. It was inspired by 2 things. First- the nights are getting cooler, so it's time to consider what kinds of bulbs to plant for spring next year. 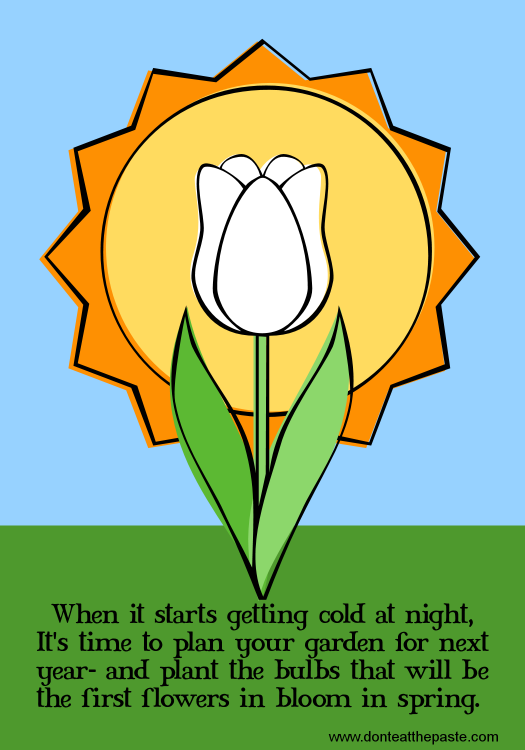 The other- I've been re-watching Fringe with my husband and a white tulip sounded like a good idea. 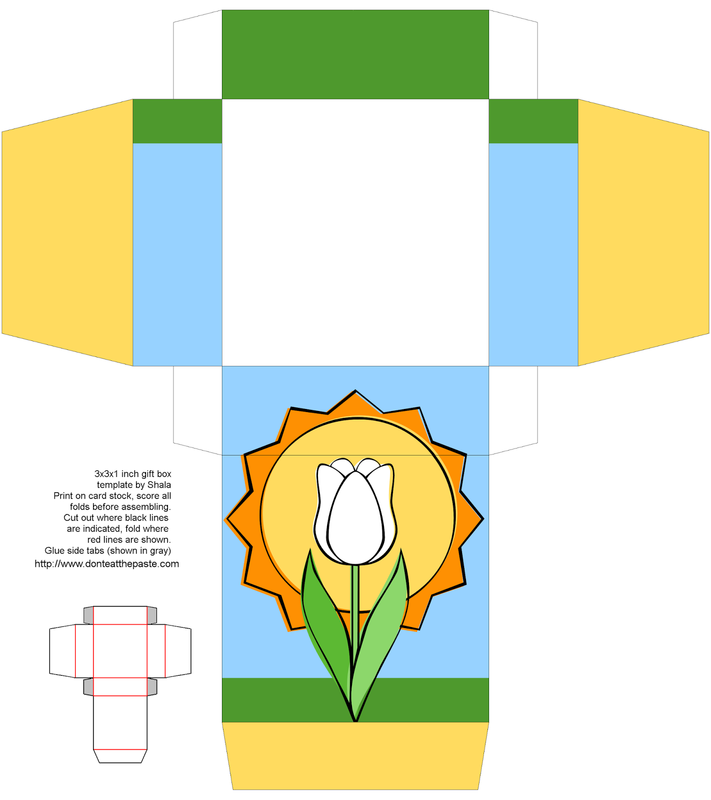 Click the image below for a larger version of the tulip printable box- print on card stock, cut out, score folds, fold, glue!